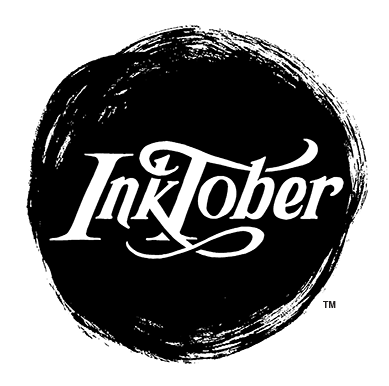 Jake Parker began Inktober in 2009 as a challenge to improve his inking skills and develop positive drawing habits. In the years since, it’s become an international art celebration whether you participate by drawing or simply by being inspired by the work of others. 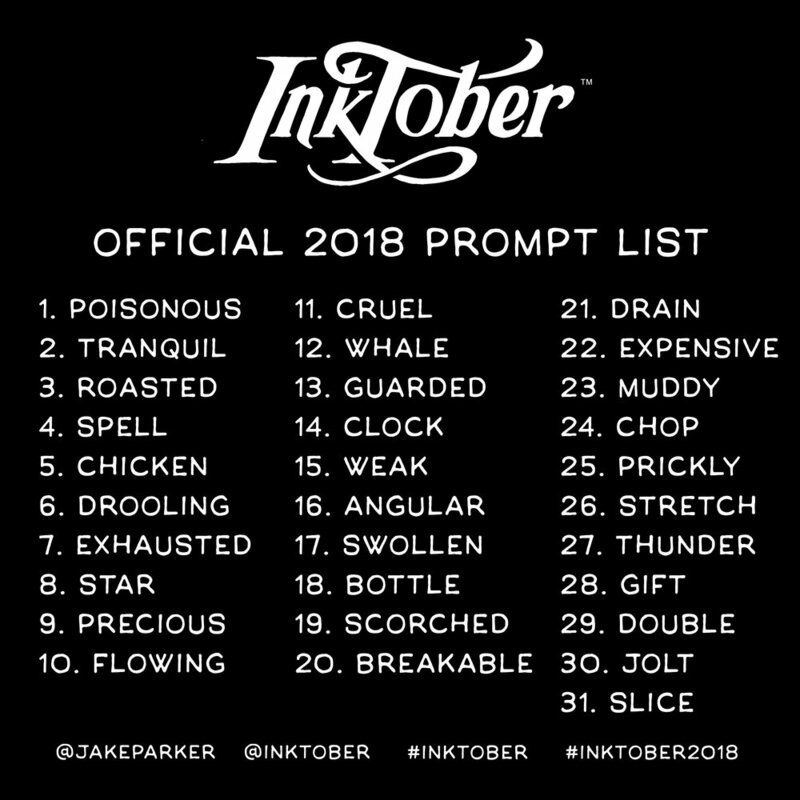 Each day there is a drawing prompt, and then the results are shared on social media with the hashtag #inktober and #inktober2018. There are not a lot of rules. 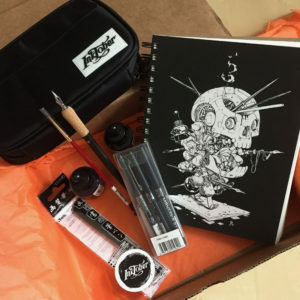 You don’t have to draw every day to be a part of it. You can set a goal for a week or just weekends and jump in or out at any time. It’s really up to you, but sharing the work is one important part because it will feels good to be a part of something bigger. You don’t need fancy pens or paper, and it doesn’t have to be all black and white either. If you can avoid the pencil and eraser and give yourself a chance the opportunity to work with ink. It’s scary and liberating! Tony has completed the challenge for a couple of years, but I’ve only managed to make 1 or 2 drawings. This year, we’re working with supplies from Artsnacks which include a brush, dip pen, Dr. Ph. Martin’s bottled ink in matte black and green, Kuretake manga markers, and a Copic brush pen. Tony is excited about the new tools and has hit the ground running. I am so far out of my comfort zone and already a little behind! 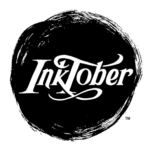 You can follow our Inktober adventures on Instagram and Facebook. If you decide to participate, please share and tag us! We can keep each other inspired!